WASHINGTON (Reuters) - U.S. President Donald Trump on Wednesday said he does not want to walk away from Saudi Arabia despite concerns about Saudi journalist Jamal Khashoggi and said he hopes Saudi's royal leaders were not involved in his disappearance. In an interview with Fox Business Network, Trump, a Republican, pushed back against some criticism from U.S. lawmakers in both parties who have called for strong action after Khashoggi went missing earlier this month during a visit to the Saudi consulate in Turkey, which has alleged he was killed. "Hopefully, it's working out. We'll find out. We'll get down to the bottom of it," Trump told FBN. "I hope that the king and crown prince did not know about it. That's a big factor in my eyes." Asked if the United States would walk away from its Gulf ally, Trump said: "I do not want to do that." Pressure has mounted on Saudi Arabia to provide answers on Khashoggi as U.S. Secretary of State Mike Pompeo concluded meetings in Riyadh and Ankara over the case. 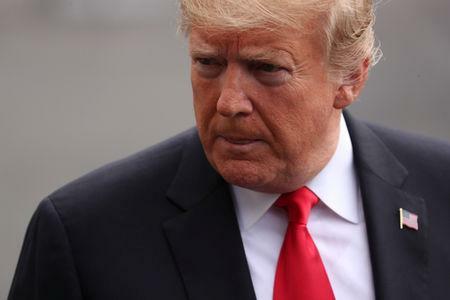 Trump questioned why the United States would take steps pushed by some lawmakers such as blocking U.S. arms sales to Saudi Arabia, saying Riyadh could just turn to other countries to buy military equipment. "We need Saudi Arabia in terms of our fight against all of the terrorism, everything that's happening in Iran and other places," he said.